There are cloud projects that tank, and those that fail on to an epic degree. The causes can usually be traced back to simple issues that are easily corrected. Unfortunately, cloud success stories are not as common as they should be. To help change that balance, address these cloud issues to increase your odds of success. 1. Don’t select the wrong applications. 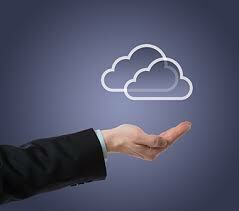 When moving applications to the cloud, you have to consider many factors. Look at the age of the application, how the application was designed, how the database is configured, and even how the application interfaces with other applications and databases. All of this will influence the application’s performance in the cloud. Face facts: Not all applications are destined for the cloud. Many will need major redesign and recoding, which add risk and cost. In many such cases, it’s not cost-effective to move them. Many organizations try to migrate anyway, and they fail. Don’t do that. 2. Avoid the single-provider shuffle. It’s a multicloud world. A single provider typically does not cut it for the desired end state, which will likely be composed of a group of cloud-based platforms. Although it’s certainly nice to move to a single provider, it’s unlikely that one provider will be the most cost-effective solution or even the most effective one. Many enterprises try to fit square pegs into round holes, just to keep a provider that they like. It’s a complex world, and cloud deployments typically require many different cloud providers — so get over that “single throat to choke” or “preferred partner” mentality. 3. Ask the question of or know the answer to “What’s cloud governance?” Many enterprises forget about governance, so they can’t govern their production clouds — and their cloud project fails as a result. The use of both service- and resource-level governance (cloud management platforms, aka CMPs) is not just a nice-to-have, it’s an absolute requirement. No matter if you have one public cloud or a multicloud deployment, make sure CMPs are part of the mix. These systems let you automate production clouds around security, provisioning, and scaling, to name a few. Without these systems, the processes become people-driven. That means, at some point, some very bad things will happen. When learning about the cloud through the failure of others, try not to be the “others.” It’s an easier goal to reach than you might think, especially if you keep these three tips in mind. Amazon Web Services: What’s It Good For?